Today some pupils brough objects from other countries. Sandra brough things from America too." “...Miguel asked teacher Mela if tomorrow we could still bring things from other countries and she answered . "Noelia , Daniel and Diego read their English diaries. Diego wrote his diary in the BLOG." 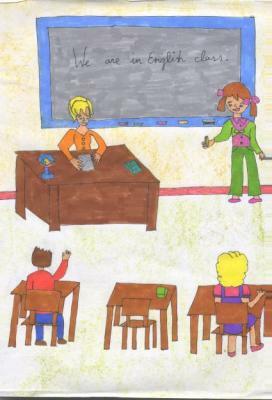 "Teacher Mela didn’t come to our class and she left other teachershomework to work in their lessons. Teacher Teresa and The Religion teacher, helped us to find some European countries in the Europe map." “..We worked with the activity book . The lesson was about animals. I remembered some animals: for example zebra, crocrodile, “hamster”….